Leo Burnett Italy has rolled out a campaign for Fiat’s crossover vehicle, the 500X. Titled “New 500X--A Taste of Tomorrow, Today,” the work is inspired by the film Back to the future. Centerpiece of the campaign is this short directed by Ago Panini for the Movie Magic production company. 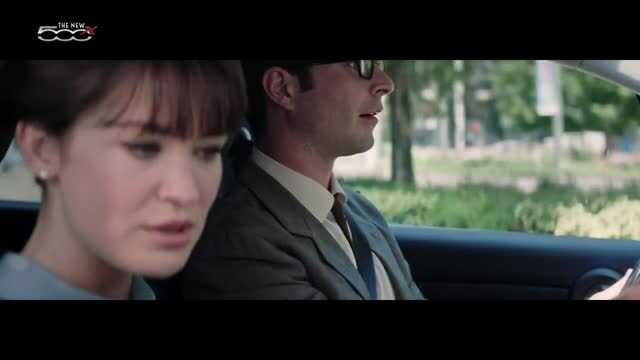 The film is set in a ‘60s’ Italian city, where a young couple are riding in a D series Fiat 600 along streets lined with the shops, passers-by and cars of the period. We are viewing the origins of the Italian design and manufacturing excellence which was soon to conquer the world. Suddenly, a lightning bolt strikes the car and projects it into the future, which is our present, transforming it into the New 500X. The leap through time amazes the young couple who soon warm up to their “taste of tomorrow”. Through some thrilling situations, the young people discover the driving assist systems that make any journey in the New 500X a unique, comfortable, safe, fun experience--an experience reinforced by the new family of small Turbo petrol engines that deliver brilliant performances and an outstanding ride. The couple are also fascinated by the Uconnect 7” HD LIVE system, which provides satellite navigation and connectivity: truly another world. All contained in a crossover with completely renewed styling that still retains its distinctive, iconic character, featuring the new Full Led headlights for greater visibility and safety.